On Scene: On Duty with Jim Witmer, CEO & Deputy Fire Chief. On Duty with Jim Witmer, CEO & Deputy Fire Chief. To kick off the series of On Duty posts, we figured who better to interview than our own, Jim Witmer. The owner & creator, and the man behind TheFireStore, himself. How long have you been in the Fire Industry personally? What titles and jobs have you held? 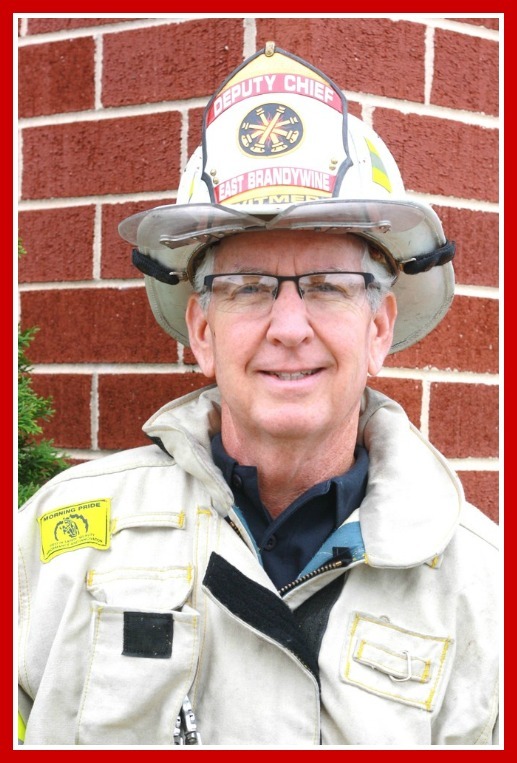 I've been in the fire industry since I was 18 years old, in 1972. I have held the positions of Fire Chief, Deputy Chief, Battalion Chief, Captain and Lieutenant. I have also held the position of treasurer as well as trustee. What is one experience you've had being a firefighter that you will never forget? The Corinthos fire was by far the largest and most intense fire I've seen in my 37 year career. I was 21 years old and in my 3rd year as a volunteer firefighter, and I was a member of Rose Tree Fire Company in Delaware County, PA (just south of Philadelphia). The fire was on the Delaware River and involved the Corinthos, a 754-foot tanker carrying over 300,000 barrels of crude oil, and The Queeny, a 660-foot tanker. The collision caused an instant explosion, killed 25 sailors & dock-workers, and burned for 4 days. I was on a crew with a 2.5" foam hose line for what felt like forever. We were faced with a lot of danger in that fire, making it by far the most intense and memorable fire scene I've been on. What advantage does it give you to be both a volunteer Firefighter and CEO of TheFireStore? I feel that my experience helps me to see and understand what our customers need and want. Your story about how this all began will be told in more depth soon but, can you tell us briefly how TheFireStore came to be? My brother Greg (who passed away in 2002) and I actually started by selling turnout gear racks under the trade name Gearmasters. We saw a need amongst our customers for a helmet parts retailer and we started "helmetpartsource.com". Shortly after that, our customers began asking if we could get helmets, flashlights and other necessities, which birthed TheFireStore.com. What has been your favorite thing about starting a business of this caliber? I get to do what I love as a hobby almost everyday. I love getting to supply firefighters with the best and coolest products out there. Just for fun, what do you like to do when you aren't volunteering at the firehouse or at work? I love spending time with my wife, Ruth and with my four children, their spouses and our three, beautiful granddaughters. You can't beat a summer cookout with our family! I also like traveling with my family doing mission work in both Romania and Zambia, Africa. Thanks for sharing your background. It is great to know that you bring so much to the table when you offer new products to those in the service of protecting the public's safety. Keep it up!